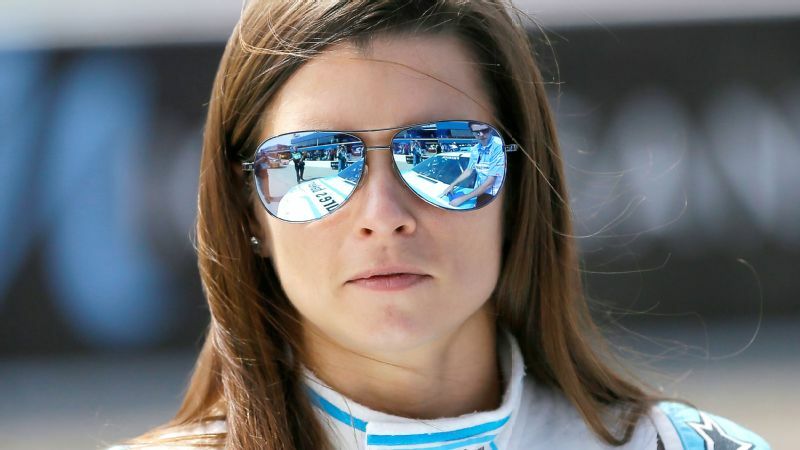 INDIANAPOLIS -- Danica Patrick likes her helmet to look the same every week. She's worn the same design with rare exceptions for two decades, but will have a different look at on race day at the Brickyard 400 on Sunday. So having a different helmet only once in more than the last 10 years, her Brickyard 400 helmet for Sunday certainly will give her a little different look on race day. To celebrate her 20-year anniversary with Troy Lee Designs, Patrick has a helmet that has silver and gold leaf accents on it. "I said it would be really cool if we did a special paint out and we thought Indy would be a perfect place to have that given the fact that I have had so much history here," said Patrick, who finished third in the 2009 Indianapolis 500. "Troy just drew it up, and I said, 'Draw whatever you want.' ... This is Troy just letting his mind wander." Patrick ran a special Dan Wheldon memorial helmet in November 2011, the only time since 2005 she had a different helmet in the last decade. She also changed it once earlier in her career from the original version -- much like the one worn by Paul Tracy -- to make it more of her own. "It only took 20 years and 314 races to try something new. Thanks for the all fast times."